OMG! Monday mornings are the WORST 🙁 ! Especially during the winter months when it’s always so dark and gloomy. As usual, I woke up and dragged myself out of bed. But, when I looked outside, I couldn’t BELIEVE my eyes! There was like a foot of SNOW outside! Apparently, a big blizzard hit during the night and our neighborhood looked like the North Pole. So, school was canceled, and we got to stay home for a SNOW DAY 🙂 !! I LOVE, LOVE, LOVE snow days 🙂 !! Brianna is already begging me to help her make a snowman, so we’ll do that after lunch. The good news is that I get to plan an ENTIRE day of fun and relaxation! But, I need YOUR help! What would YOU do if your school was canceled and you had a SNOW DAY?! To make it more exciting, I’ve set up a poll with fun activities for you to choose from. Please use the scroll bar to see all six activities. Have you ever had a snow day that resulted in your school being closed? How much snow did you get? What did you do for fun? 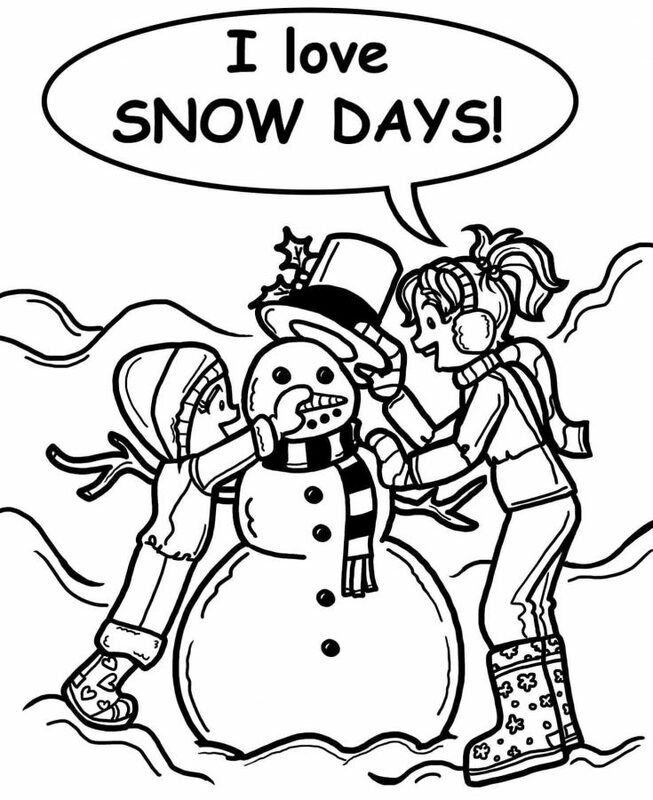 Or, tell us what you’d do IF you had a snow day? Please post all of the details in the comments section below! snow days would always be fabulous ! SQUEEE!! Since I live in Canada, we don’t have snow days. It always snows!! I like going outside and making a snowman. Ugh in HK, there is no such thing as snow day because we never have ❄️. If it is a snow say, I will stay at home watching YouTube, chillaxing, reading my book, catch up on homework etc. Though in Hong Kong, there is typhoon day, it is the best on earth. I know you must be thinking what on earth, what people will even like typhoons but we do. I will stay at home watching my tv while watching YouTube. My school never barley ever cancels because of a storm. We do get to stay in for recess sometimes, though! I wish it snowed here where I live.Even though it’s really cold it hardly ever snows.It only rains but not snows. But I’m going to NYC on a school field trip next week and it’s gonna snow 4 out of 5 days we’re going to be there! AND we get to spend a morning in Central Park, playing in the snow! SQUEEEEEEEEEEEE! p.s life was cruel and so my last name is Snow…… :(! I would ABSOLUTELY love everything on this list! So I did a random. And on Monday, we had no school ’cause of snow! Wahoo! I just wanna watch GMV’s(Gacha Mini Movie)!!!!!!!!!!!!!!!!!!!!!!!!!!!!!!!!!!!!!!!!!!!!!!!!!!!!!!!!!!!!!!!!!!!!!!!!!!!!!!! If it was a snow day I would stay in my bed all day long with hot cocoa. Then, I would go o Starbucks and have a frap. I don’t have any friends at school, so I sometimes feel lonely! Oh, and I love hot chocolate with marshmallows! Your so lucky. Where I live, it never snows. One time it snowed in Florida. I know it never snows where I live…………..
me neither! that’s why i would have to go outside! I get that sometimes. Last year, I loved the occasional snow day, but this year I hate school and wish I never had to go back. Snow is nice. I ALWAYS drink hot chocolate with whipped cream on a snow day! Winter is the best SQUEEEEEEEE! !